The sponsor of a British-led team hunting for dozens of rare World War II Spitfires said to have been buried in Myanmar has abandoned the search, saying stories of the stashed planes are merely “legend”.Rumours that dozens of the iconic single-seat aircraft were buried in 1945 by Britain, the former colonial power in what was then Burma, had excited military history enthusiasts, but surveys at Yangon airport in the Mingaladon district have failed to bear fruit. The project backer, online game company Wargaming, said the team “now believes, based on clear documentary evidence, as well as the evidence from the fieldwork, that no Spitfires were delivered in crates and buried at RAF Mingaladon during 1945 and 1946”. Lead archaeologist Andy Brockman said the investigation into the stories of buried Spitfires was undertaken in the spirit of US television forensic police series “CSI” (Crime Scene Investigation). “We followed the clues in the documents, period maps, pictures and air photographs; we talked to surviving witnesses, and visited the ‘crime scene’ in order to turn our study in the archives into facts on the ground,” he said. In a statement released late Friday, Wargaming said the search for Spitfires in Myanmar was rooted in persistent rumours that began among servicemen in “the bars and canteens of South East Asia” as early as 1946. It added that no surviving witnesses had actually seen planes being buried and that its research in British archives had failed to produce any evidence of the arrival of the aircraft in Myanmar in the latter months of the war. But a local businessman involved in the project, Htoo Htoo Zaw, on Saturday vowed to continue the planned digs in the northern city of Myitkyina and Yangon airport, signalling a split within the team. “We haven’t started any digging yet. 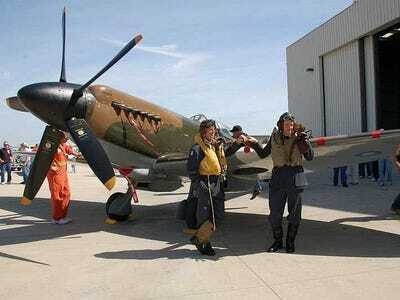 So how can we say for sure whether there are Spitfires or not?” he told AFP. It was unclear to what extent the excavations would continue and project leader David Cundall — a farmer and aircraft enthusiast who has spent around 17 years chasing the Spitfires — was not immediately reachable for comment.